​Specialising in aquatic education and survival skills, we can tailor an aquatic program for your school. Primary and secondary school students can participate in essential water safety and survival skills education. 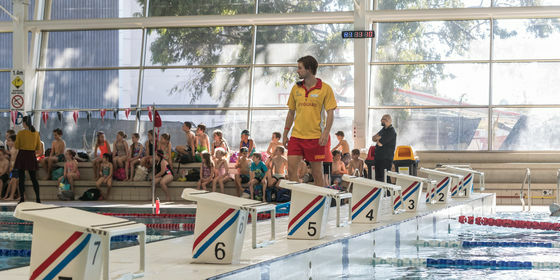 In a practical environment they will develop physical skills, knowledge and understanding of a range of aquatic situations including the opportunity to attain a Bronze Medallion Award. So whether you’re looking for a fun excursion or end of year event for your students, a venue for your swimming excursions, or an integrated component of your PE program, we are here to help. And remember, we’re committed to everyone having the opportunity to participate. So if you have a student in financial hardship, YMCA may provide subsidised access to the program. Find out how we can add value to your school program today by completimng the enquiry form below.